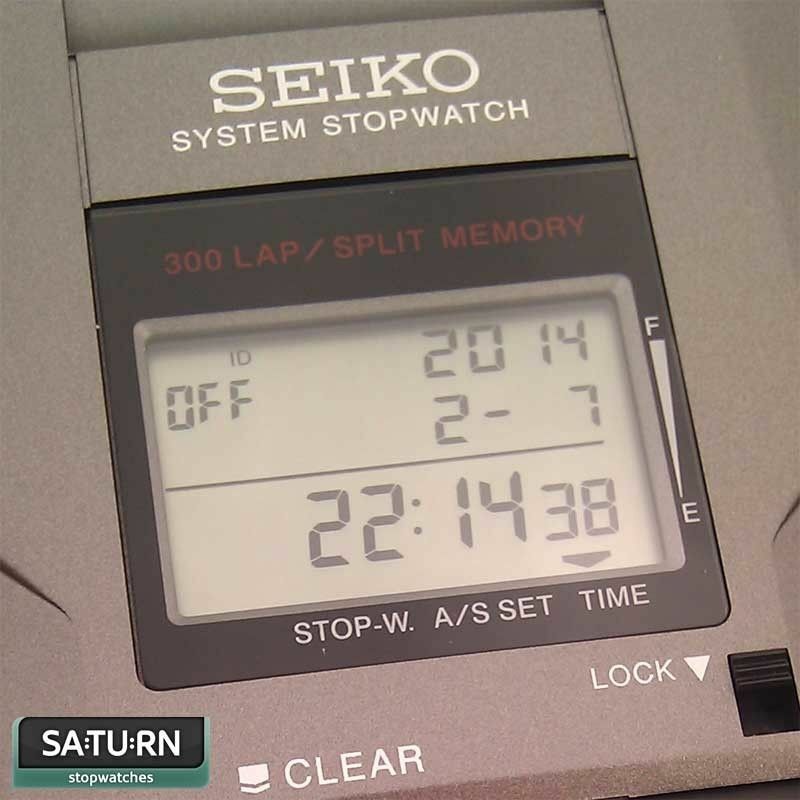 Large-sized three row display panel shows split, lap and total time. Standard timing, accumulated elapsed timing and split/lap time measurement. 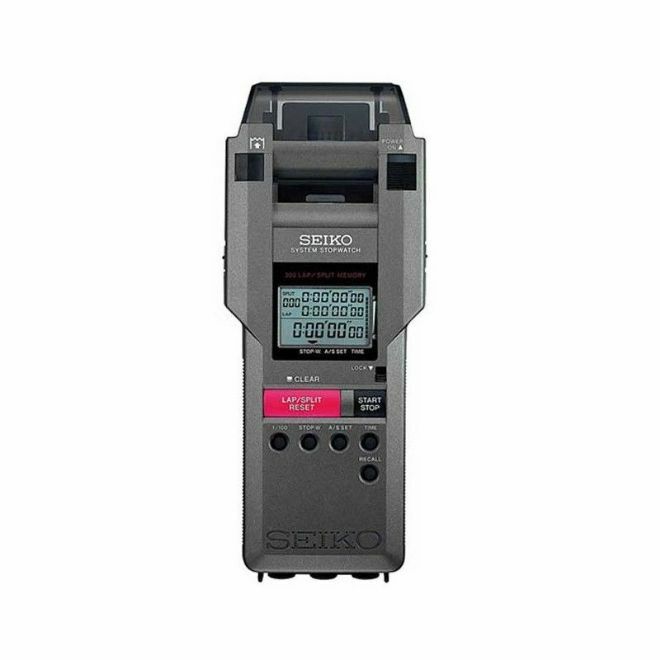 The Seiko S149 Printer Stopwatch measures up to 10 hours in 1/100th increments. 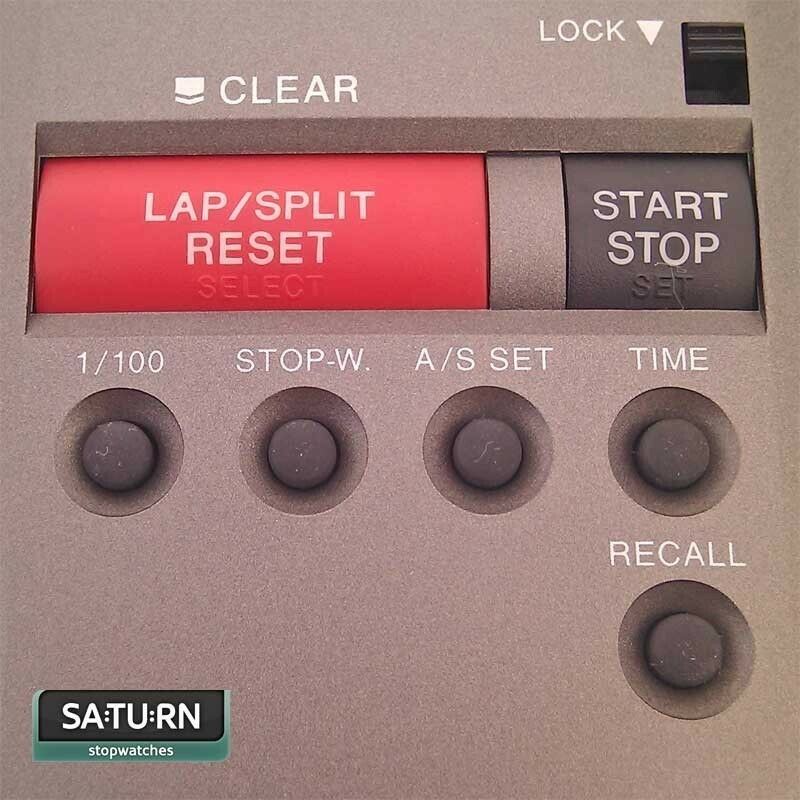 Split/lap timing can be performed with accumulated timing or lap in progress modes. The Seiko S149 can store/recall up to 300 split/lap times. 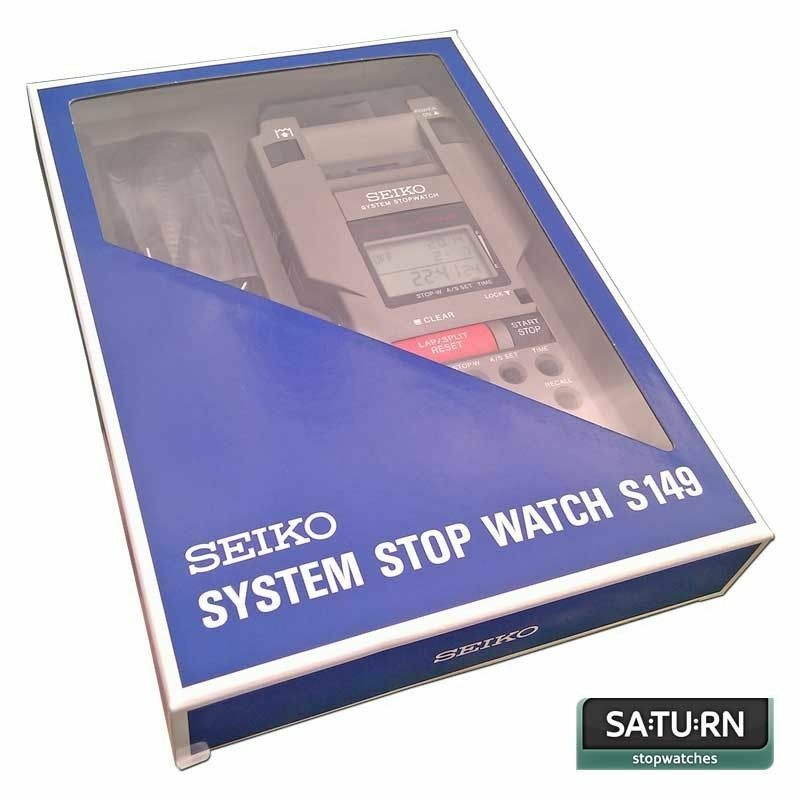 Segmented memory - data can be stored in segments, allowing the user to record multiple events - each with their own split/lap times saved in a block. Up to 100 blocks of data can be stored. Memory can be recalled even whilst timing is in progress. 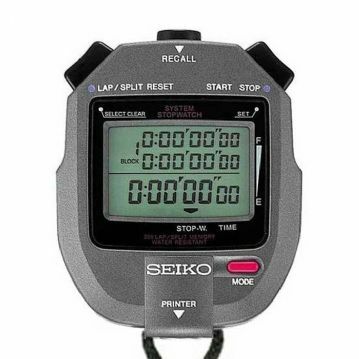 Fastest lap time recall function. Memory capacity indicator, with warning when the capacity exceeds 290. Printout speed of 1.5 lines per second. 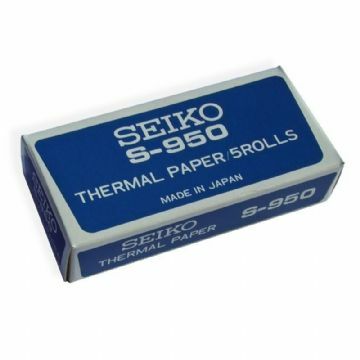 Thermal serial dot printing system. 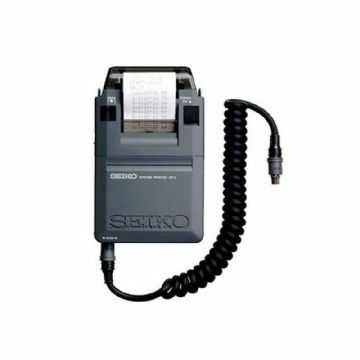 Requires Seiko S950 thermal printer paper (sold separately). 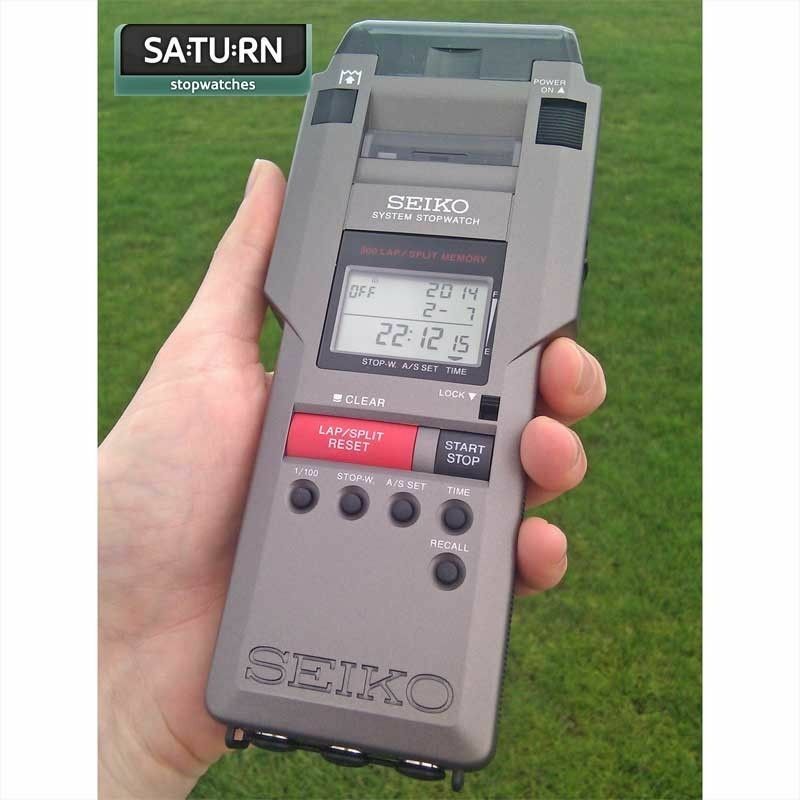 Auto-start function that allows timing to commence at a preset time (ideal when the user isn't present at the start of a race). 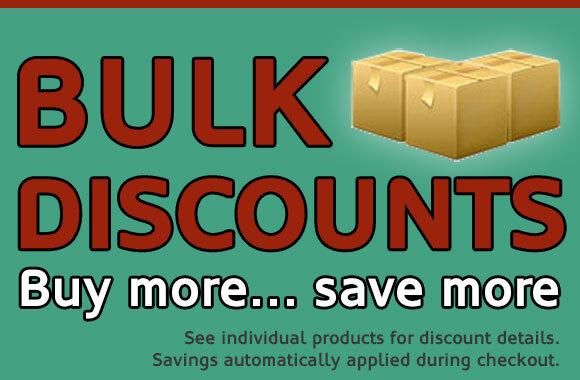 Set of batteries and 2 rolls of thermal paper included. 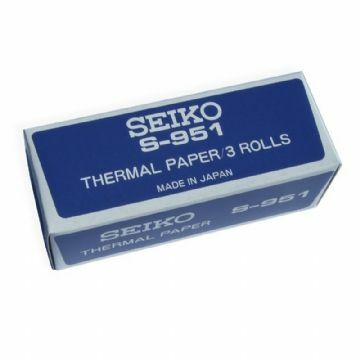 Seiko S951 Thermal Printer Paper (only for use with the Seiko Large Capacity Paper Holder - S23549J).